Now that the Tampa Bay Lightning has kissed (ahem) the big, bad Boston Bruins goodbye, we should take a minute to reflect on just what the team has done. These were the Bruins, the beast from the dark. This was the unbeatable foe from the unwinnable arena. This was a burly first line that was as hard to stop as stampeding buffalo. And the Lightning beat them. All in all, it was the most impressive series the Lightning has ever won. 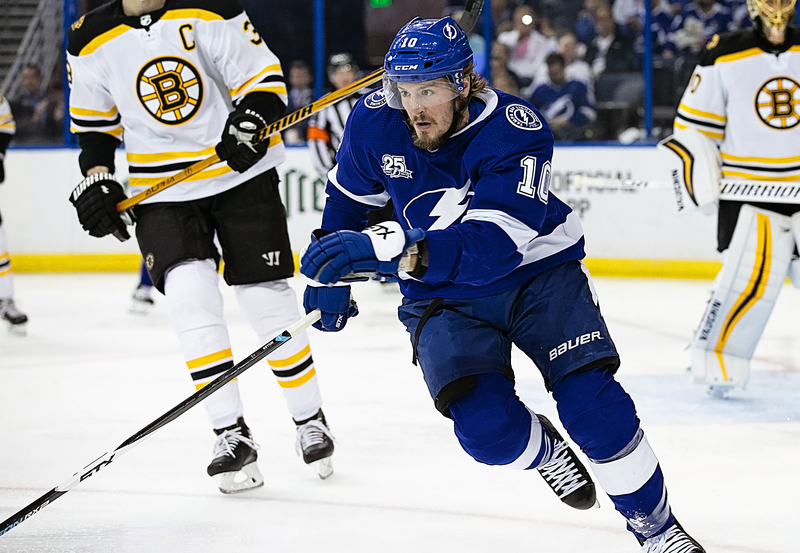 Only once had the Lightning ever beaten a playoff opponent that had more than the Bruins 112 points. That was when it won a seven-game series over the New York Rangers (113 points) in the Eastern Conference Finals of 2014-15. That was impressive. This was better. This was punching the neighborhood bully in the kisser. This was defending your own turf. This was a team reclaiming its birthright. This was a series where a lot of Lightning fans thought they would lose -- especially after they fell 6-2 in the opening game. This was the reset button, when a team reinvented itself. This was a team re-establishing hope, inviting belief. This was a team that left the Bruins with nothing to lick but their own wounds. And now, they have to do it again. This is the thing about the Stanley Cup playoffs, a physical, mental grind. It's as many as 28 games, and it takes 16 wins. It takes blood and aches and sweat and will. It's tremendous drama, and more drama, and more and more. This is a Lightning team that has faced Taylor Hall, Marchand and now will play Alex Ovechkin or Sidney Crosby. Compare it if you will. 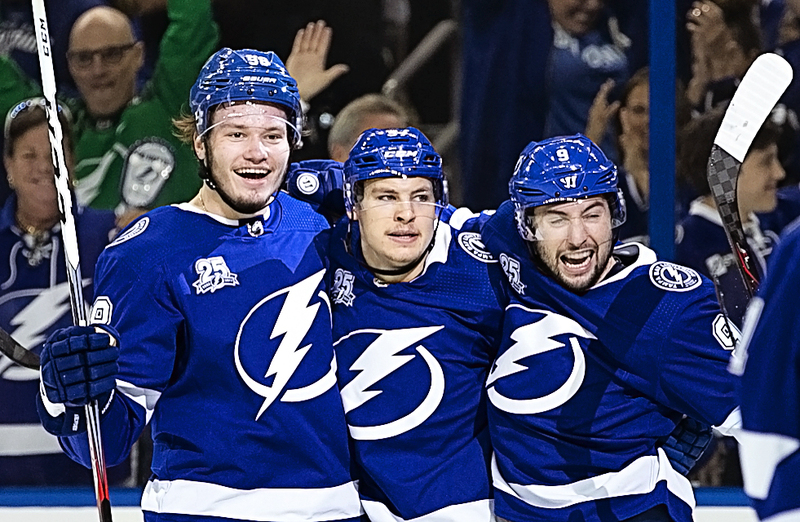 In their existence (25 seasons), the Bolts have made the playoffs 10 times. In their existence (42 seasons), the Bucs have made the playoffs 10 times (although a lot of Bucs' fas are too young to remember any of them). Now consider this: In those 10 seasons, the Lighting has played 126 games. (70 wins). In their 10 seasons, the Bucs have played 15 games. (Six wins). In other words, there is no grind quite like the NHL playoffs. Oh, baseball and basketball play series, too, but neither is the physical challenge that is hockey. For instance, in 20 seasons, the Rays have reached the playoffs in four. They've won 10 games (and lost 20). It all adds up to this. Can the Bolts do it again? Can they regather their focus, and continue to play solid hockey, against either the Caps or Penguins? Then can they do it again against the West champions? Certainly, they have given themselves a chance. Their eight wins have come in just 10 games. There has been no wasted effort. But every series is a fresh canvas, a new start. This season, the Bolts are 2-1 against Washington. They are 2-1 against Pittsburgh. They are 2-0 against San Jose. They are 0-2 against Las Vegas. They are 1-1 against Winnipeg. They are 1-1 against Nashville. It won't be easy. If it was, they could call it something else besides the Stanley Cup playoffs. Not only were the Bruins fans whining about the officials, so were the NBC TV announcers. They lead the telecast on Sunday with Eddie whats-his-name showing a replay of the Stamkos goal on Friday and emphatically stating the goal should not have counted because a penalty should have been called on the Lightning. What a crock. We have to put up with that garbage on the national telecasts all the time. The announcers always pander to the bigger markets. It will be just as bad in the next series against Washington no doubt. But Lighting fans get to celebrate while the TV guys cringe. Too bad for them.